Ideal for task-intensive environments, Chiroform Highback's fully contoured double-curve backrest offers superior lumbar support. Chiroform is a sturdy, ergonomic series of seating that stands up to the most strenuous work environments. 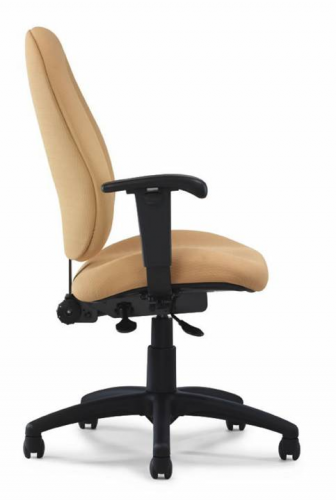 In fact, its durable wood frame and fully contoured, double-curve backrest offers superb lumbar support, making the Chiroform series ideal for tough tasks. 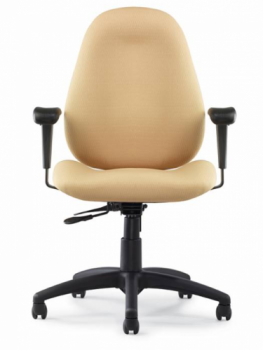 Ideal for task-intensive environments, Chiroform Highback's fully contoured double-curve backrest offers superior lumbar support. High density molded foam seat, 6 ply Canadian maple seat pan, double curve backrest, t-nut construction. Overall height: 40.5" - 47"
Seat height: 16.5" - 21"
Back height: 24" - 27"
Warranty 10 year comprehensive parts and labor, with weight limit of 325 lbs.